Every day in the U.S., at least one person dies due to a prescription drug error and more than 1.3 million people are injured as a result of these medical errors each year according to the Food and Drug Administration. The best way to protect yourself and your family from prescription errors, drug interactions, and other problems related to your medications is to talk with your physician and pharmacist whenever you get a new prescription. Asking the right questions can help lower your risk of medication errors and help ensure you take your medication correctly. 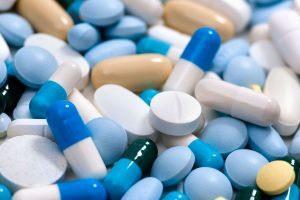 Why do prescription drug errors occur? Serious drug interactions can occur if your physician isn’t aware of all the prescription and over-the-counter medications, including vitamins and supplements, you take regularly. It’s helpful to have a comprehensive electronic medical record that’s shared with all your physicians so each one knows what the others have prescribed. Are there any effective non-drug approaches to treating my condition that I can try first, for example, diet and exercise to lower cholesterol or blood sugar? What are the brand and generic names of this medication? Why are you prescribing this medication? What condition does it treat or what symptoms will it relieve? How long will it take before this medication starts to work? What are the risks and benefits of taking this medication or choosing not to take it? What are the potential side effects of this medication and which ones require medical attention? How is this medication taken? By mouth, injection, skin patch, inhaled? How should it be taken (for example, with food or on an empty stomach, at the same time every day) and stored? How long do I need to take this medication? Are there any potential interactions with other medications or supplements I take? Are there foods or drinks that I should avoid while taking this medication? Are there any tests that are needed while I’m taking this medication, for example blood tests to monitor the effects of certain blood thinners? I’m pregnant, trying to become pregnant, or breastfeeding. Is this medicine safe in this situation? What should I do if I forget to take a dose or accidentally take more than the prescribed dose? If this medication does not achieve the desired result, what’s the next treatment option? It’s also important to check your prescription before you leave the pharmacy to make sure you’ve received the right medication. If the medication is a different size, shape, or color than usual, ask to talk to the pharmacist to confirm that the prescription was filled with the correct medication and dosage. The more informed you are about your medications, the better armed you are to avoid prescription errors and the serious health consequences they can cause.